Elk Grove AIM HIGHER had a lot going on for the month of December below is the December 2016 recap! 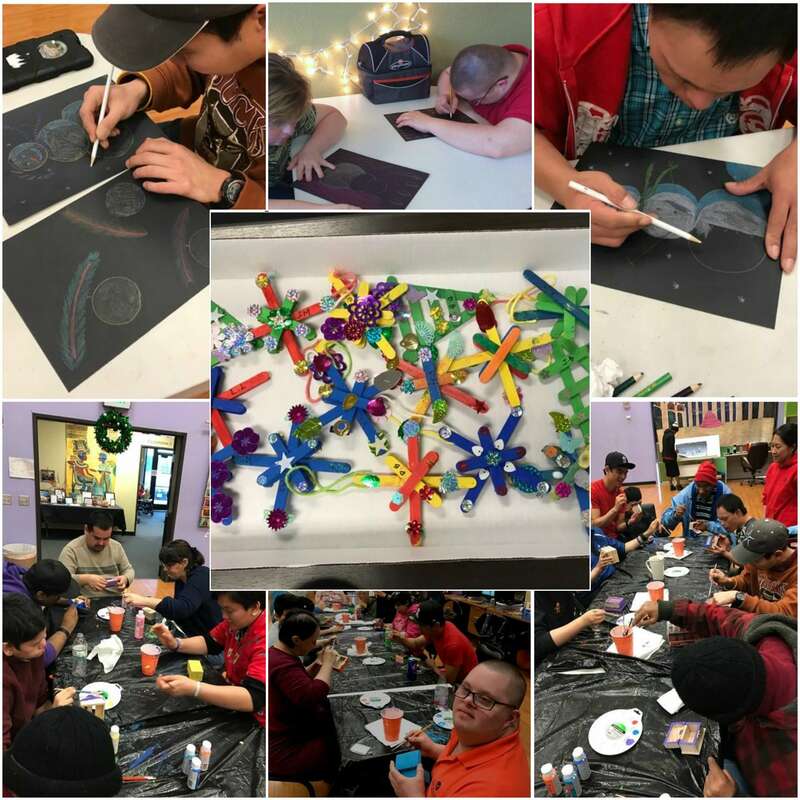 Arts and Expression worked on their holiday crafts this December. 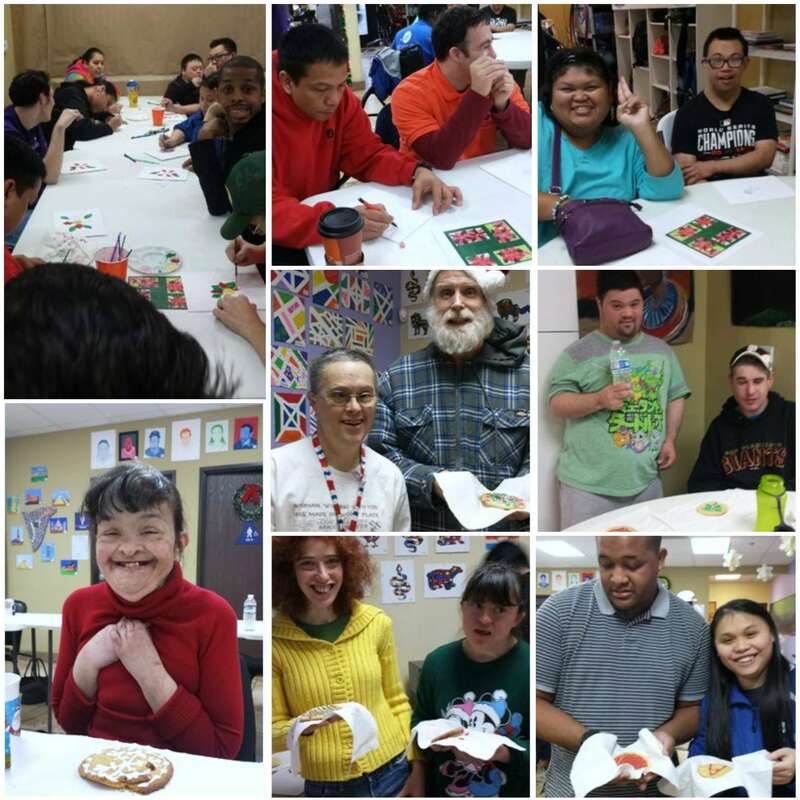 The clients drew snowmen, made popsicle stick ornaments, and made treasure boxes. Vocational this month switch it up and focused on the holidays. The clients learned how to make Pita Christmas Tree Appetizers made with pita bread, guacamole, sour cream, salami, and pretzel sticks. The clients also got to do some painting on holiday ornaments and decorations. 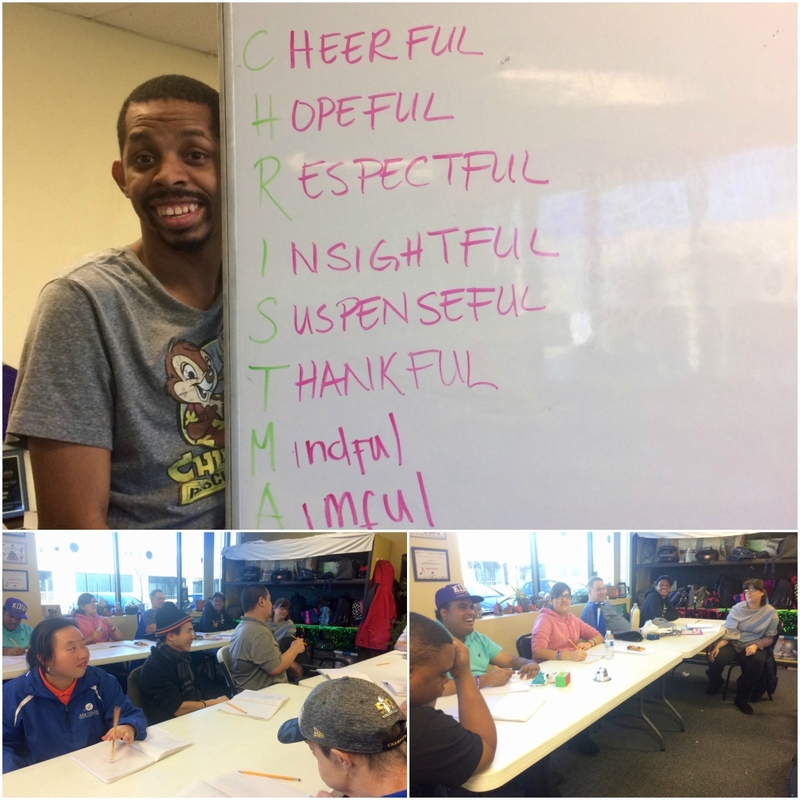 Functional education and life skills combined forces and classes for the month of December. 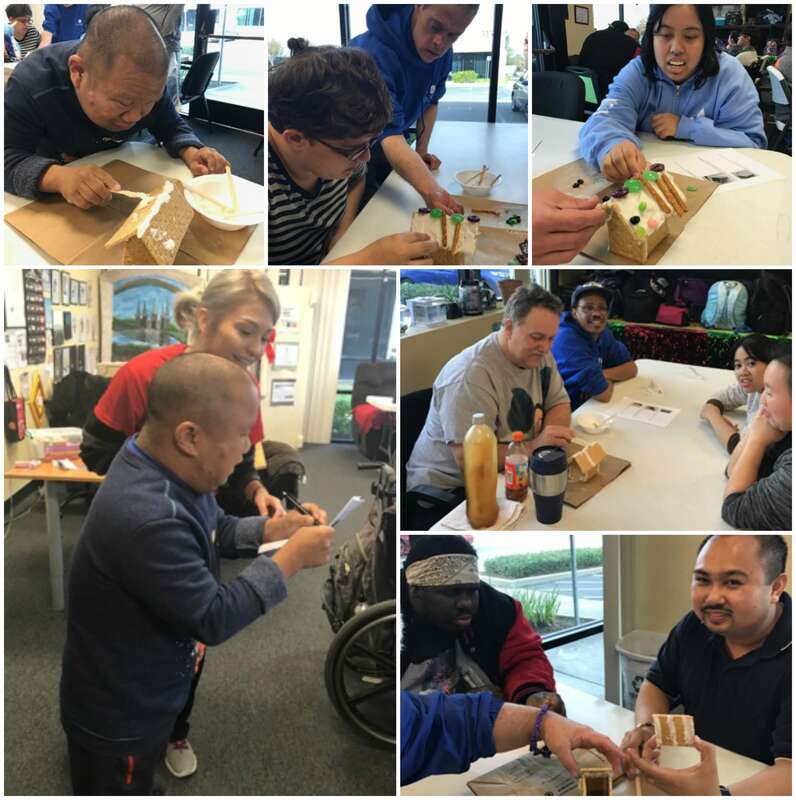 The clients got to get into groups and make create their own gingerbread houses. One of the clients even got to talk to the class about Gingerbread houses. They also made some homemade Vanilla Ice Cream. The clients got to participate in the full process of shaking up the ice and adding the flavor to the ice cream. 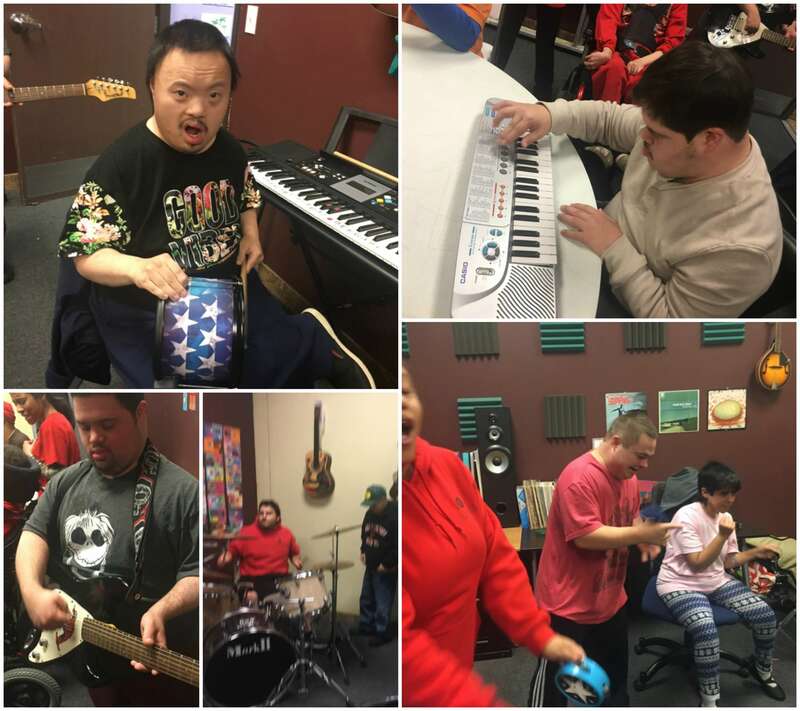 Music class jammed away the end of 2016 and brought in 2017 with a bang. 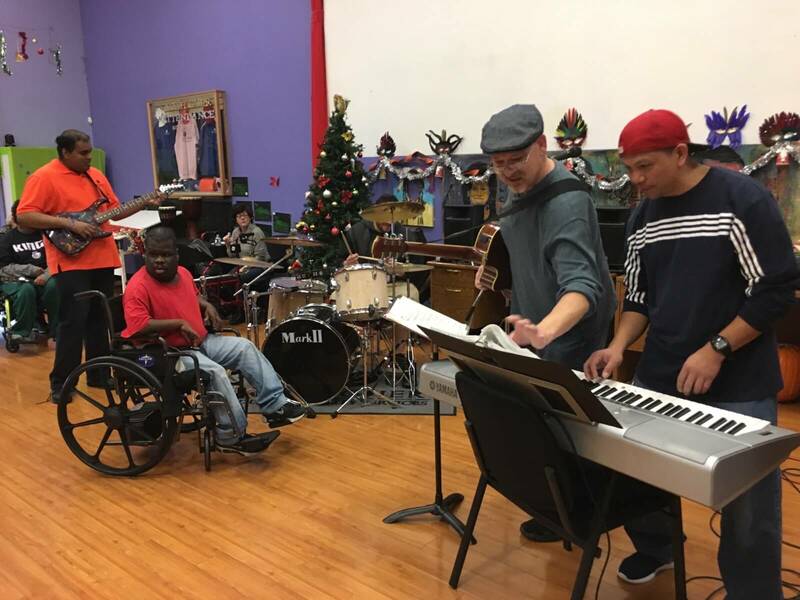 The clients even got a special performance by a staff member and his friend exploring the different types of music! 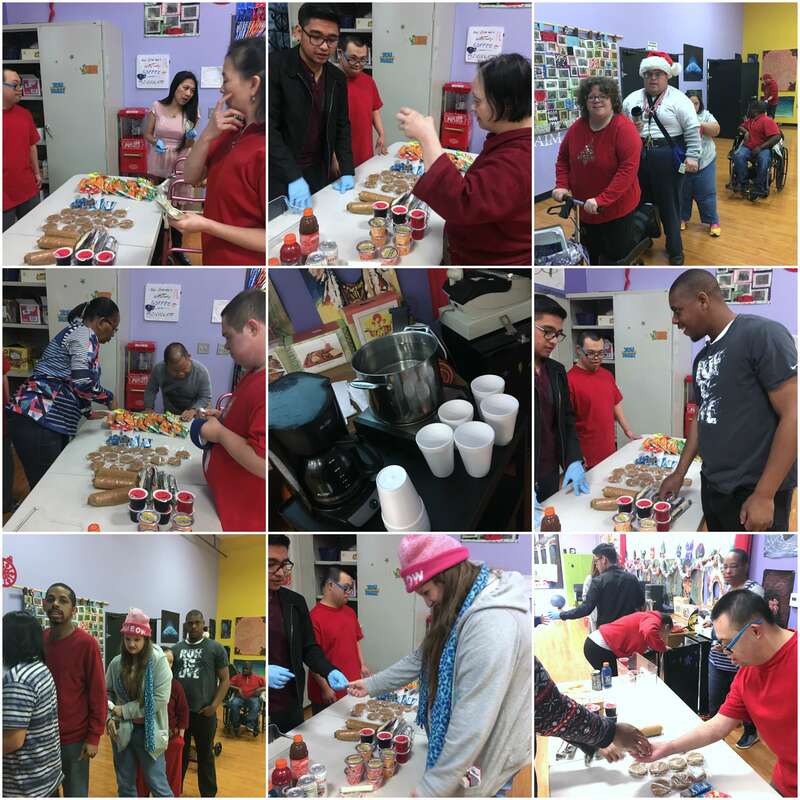 Continuing with the festive holiday trend the clients over in Suite 300 did a variety of different holiday projects. Two of their main projects were creating some Poinsettia Canvas Art and Decorating Holiday Cookies. To celebrate a wonderful year for the Reading Group. 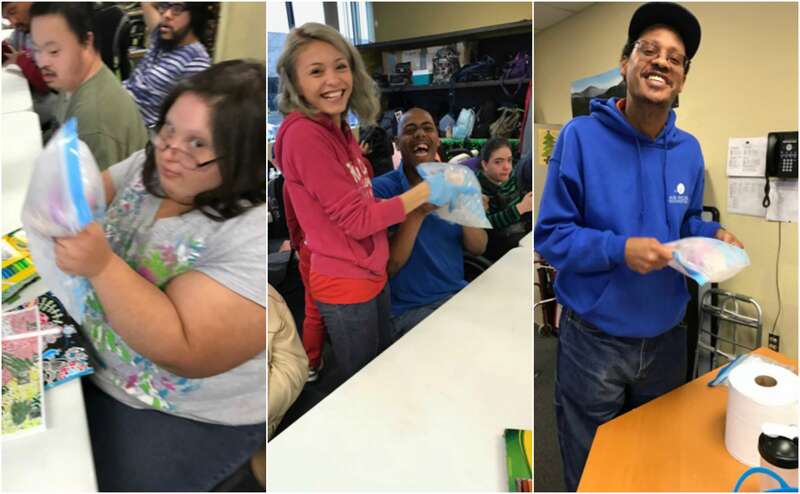 One of the instructors made some homemade brownies and added some vanilla ice cream to them and gave it to all the clients who participate in Ready group. After a brief hiatus due to the Drama Production and Dance troupe practices, the poetry club were able to meet once more before the end of the year. The club worked on finishing their winter poem and started on their New Year’s poem. Four lucky clients won a little bit of credit to spend at the “Dug Out” for their wonderful poems. Here in Elk Grove the Vocational Crew with the help of staff run the “Dug Out.” The “Dug Out” is their student store were clients can purchase cheap snacks and drinks to have while at program. The Vocational Crew work the register, handle change, set up the store, and even take down the store everyday during snack time. Keep up the good work! 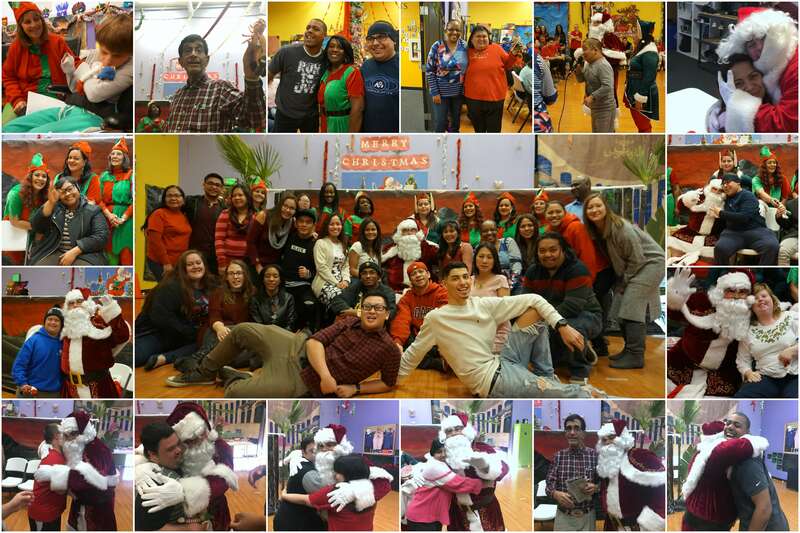 Santa Claus took some time away from his busy schedule and visited us here at AIM HIGHER. Thank you to Trust Management Services for bringing him and his elves to visit. The clients were super excited to see Santa and his elves and got to take a photo with him. After they took their photo with Santa they even got a special treat from his elves. Then one of the clients sung Nat King Cole’s “the Christmas Song” to the visitors. From everyone here at AIM HIGHER Elk Grove we want to wish you a wonderful New Year! My favorite part of the Covina AIM HIGHER is exercise class. I enjoy using my walker and exercise equipment to work on my arms. My favorite activity is cooking class, I like cutting up the vegetables and fruit, and helping staff pass out food.